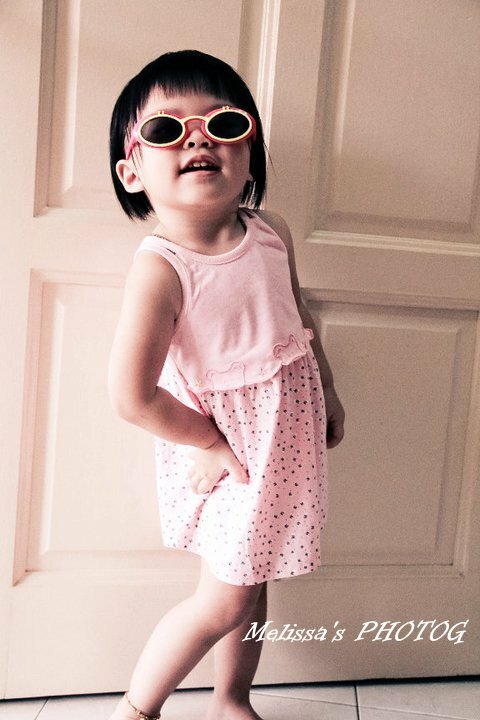 I got my age 2.5 years old niece as my part time model. 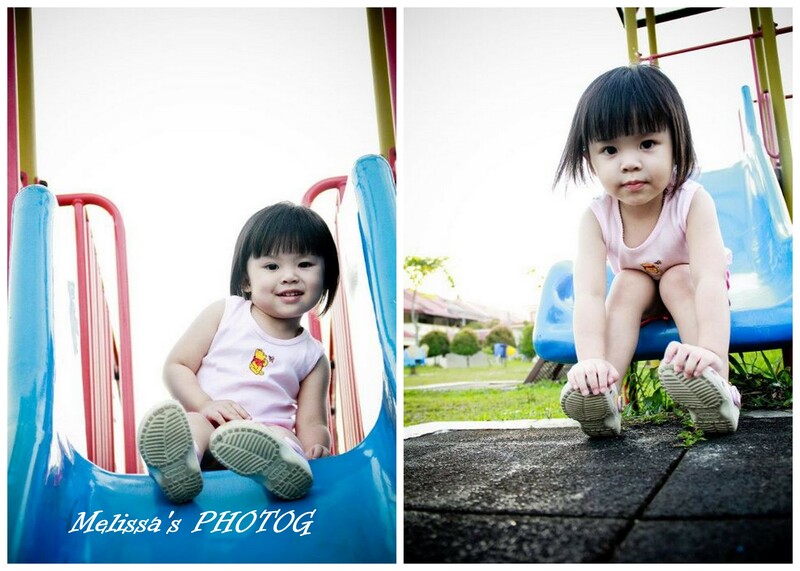 I must say that I made her got used to pose naturally in front of the camera. And now whenever she sees I held my camera, she will insist me to take a photo of her. Nevertheless, she is a quick learner. She picks up pretty fast. Simple instructions like; look more to the left or to the right, she can grasp that easily. Or I’ll just show her how you should pose, then she really did able to follow accordingly. Well, obviously practice makes perfect. 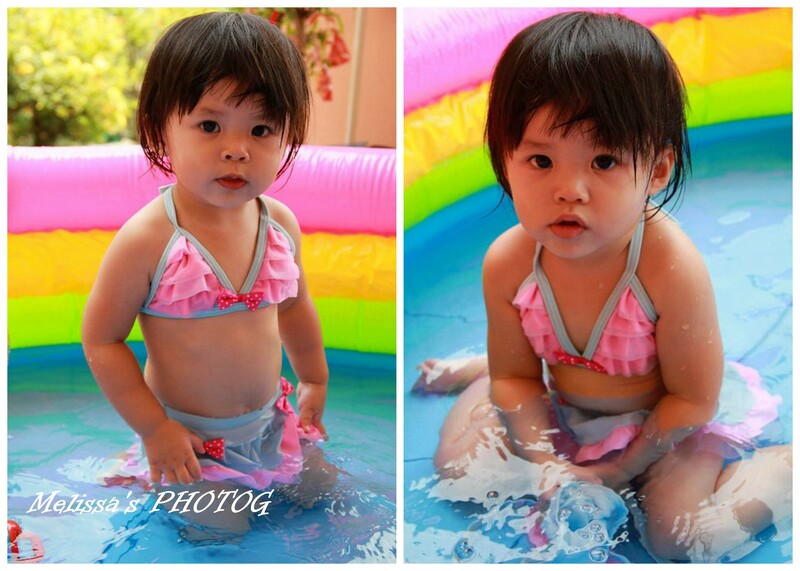 My first swimsuit photo shoot. 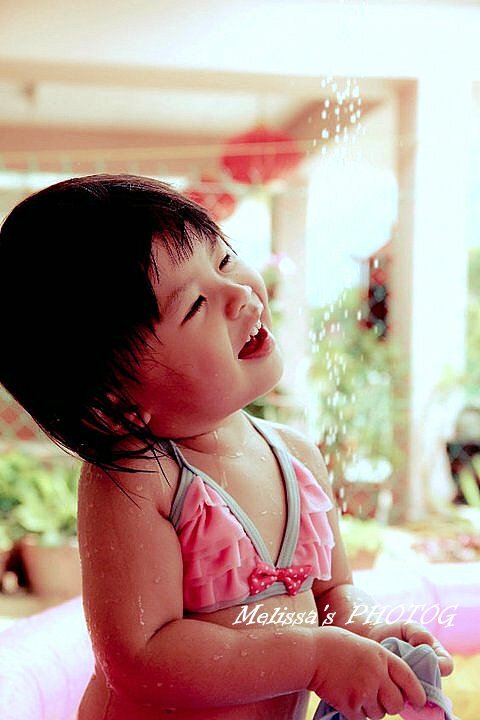 Can play with water…very fun and she likes it very much. I so want to LOL each time I look back to this photo. 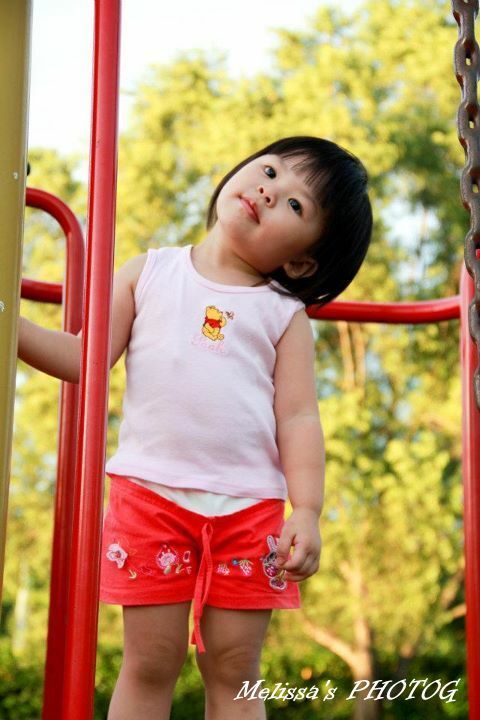 A recent photo taken at the playground…Vernice loves to spend her evening here…. She likes the slide very much. 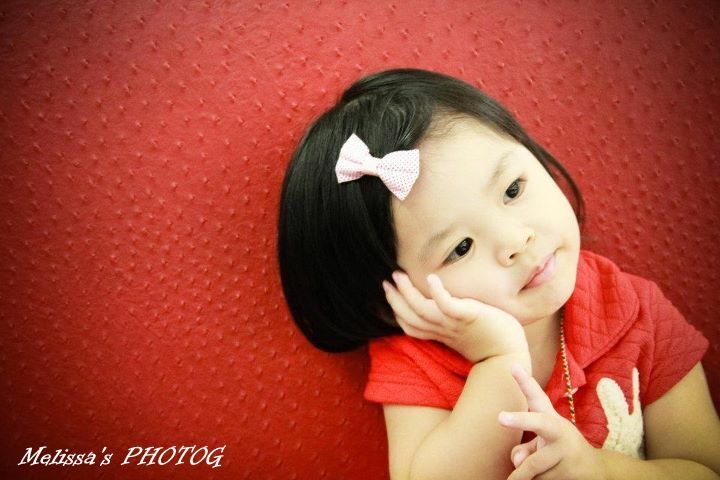 Will often tell her mummy; “don’t say last one ahhh”…..
And this is the latest photo…where I request to put her hand on the face with a slight head tilting. omg!!!! !she’s so adorable! 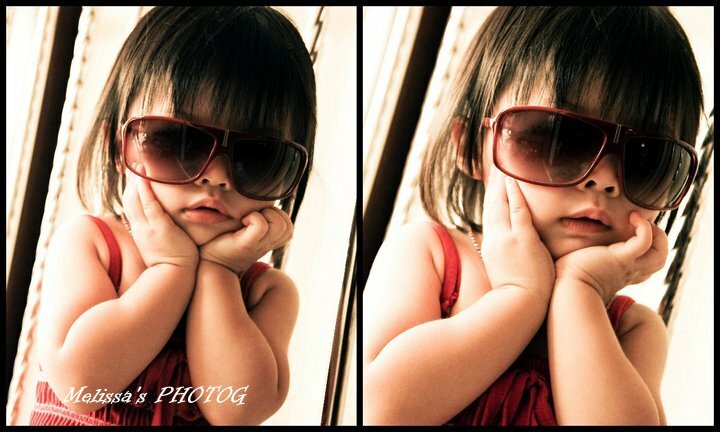 !the next malaysian next top model is in town i guess:)hahaha..
wish i had a daughter like this!!! aiyooo…. cute daooooooo!!!!!!! yoooh.. so ke ai!! Cu biiiii…. CUTE!!! !